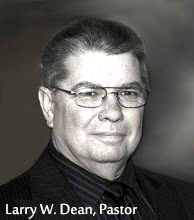 Preacher: Larry W. Dean (11), Wayne Camp (1). Series: Featured (9), The Christian Life (3). Why Are We Hosting a Convocation to Pray for Revival? Preached by Larry W. Dean on February 16, 2014 (Sunday Morning). Ephesians 6:18-20 (Part of the Featured series). Preached by Larry W. Dean on February 2, 2014 (Sunday Morning). Ephesians 6:10-20 (Part of the Featured series). Preached by Larry W. Dean on January 26, 2014 (Sunday Morning). Preached by Larry W. Dean on January 12, 2014 (Sunday Morning). Preached by Larry W. Dean on January 5, 2014 (Sunday Morning). Preached by Larry W. Dean on December 22, 2013 (Sunday Morning). Ephesians 5:18-6:9 (Part of the Featured series). Preached by Larry W. Dean on December 15, 2013 (Sunday Morning). Ephesians 5:18-32 (Part of the Featured series). Preached by Larry W. Dean on December 8, 2013 (Sunday Morning). Ephesians 5:14-21 (Part of the The Christian Life series). Preached by Larry W. Dean on December 1, 2013 (Sunday Morning).